Warwick Reeder’s thesis The Democratic Image (ANU 1995) strongly promotes the non-photographer A.H. Boyd as THE photographer of Tasmanian prisoners’ photographs held in public institutions. 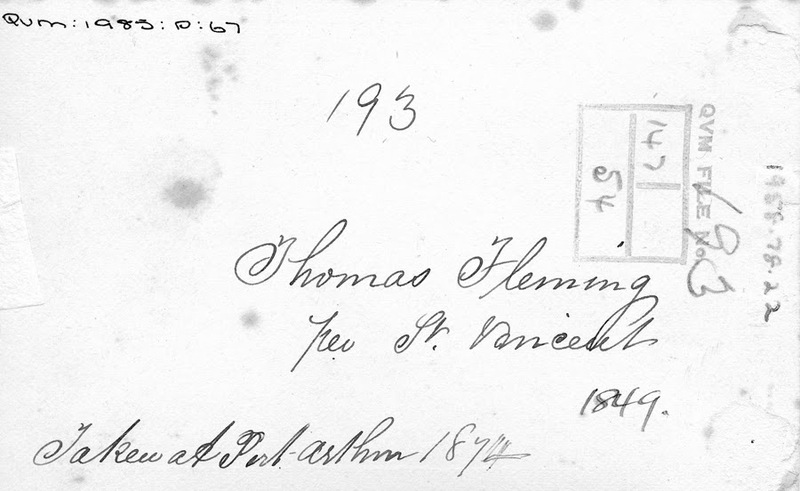 Above: recto and verso of vignette by Nevin of prisoner Thomas Fleming, taken in January 1874 at the Hobart Gaol on his discharge. 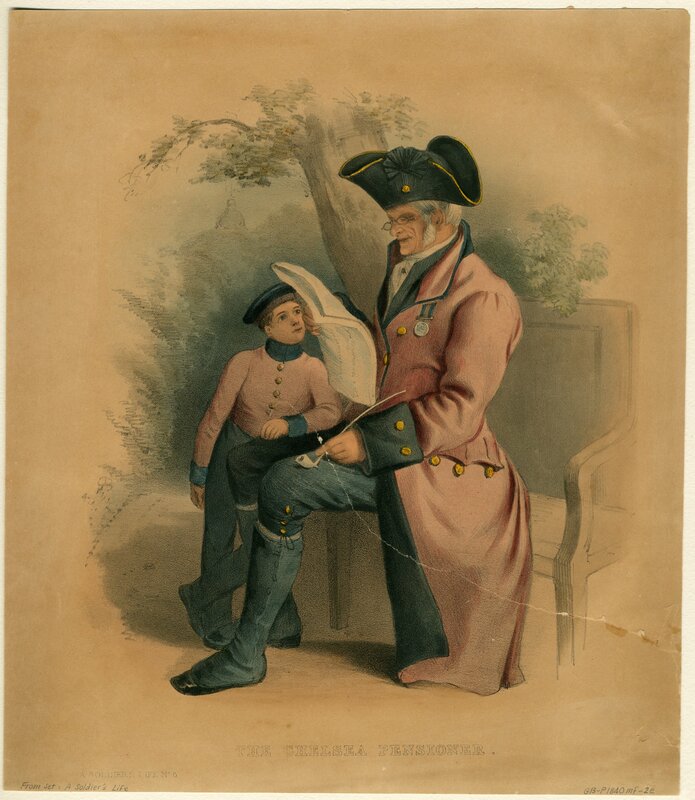 This vignette and the print are held at the Queen Victoria Museum and Art Gallery, Launceston Tasmania. Click on the print below. Thomas Fleming per St Vincent was tried at the Supreme Court on 9 Sept 1867 for housebreaking and larceny, sentenced to seven years. He was born in Yorkshire , aged 38 yrs, 5ft 6ins, black hair, Free in Servitude. Two moles on left cheek. 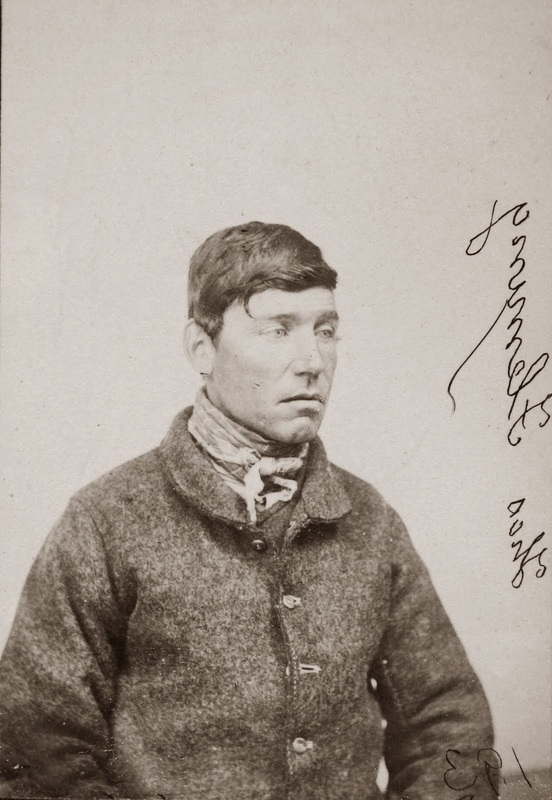 He was discharged from the Hobart Gaol on 7 January 1874, and photographed on discharge by police photographer Thomas J. Nevin. 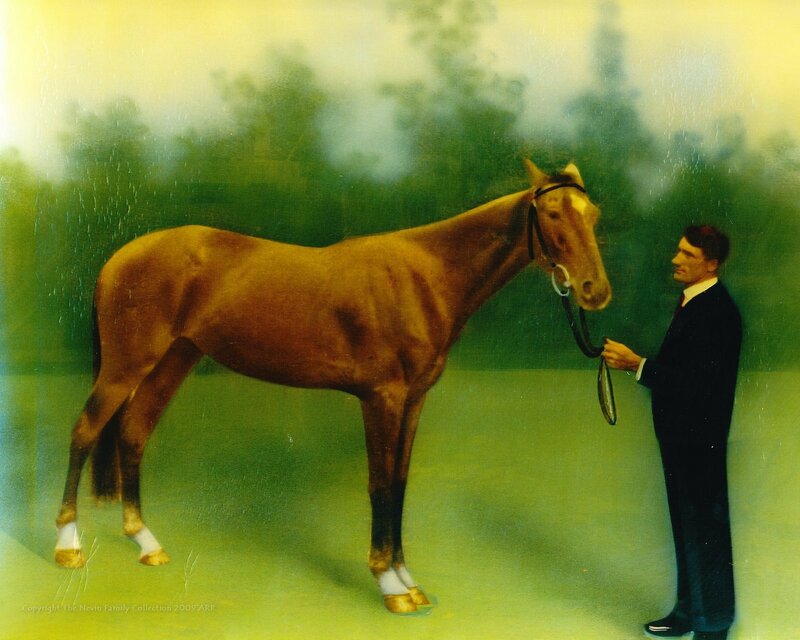 There was no photographer by the name of A. H. Boyd in Tasmania. Boyd was briefly a Commandant at the Port Arthur prison (1871-73). He had nothing to do with the police mugshots taken by Nevin for the colonial government’s Attorney-General’s Dept. 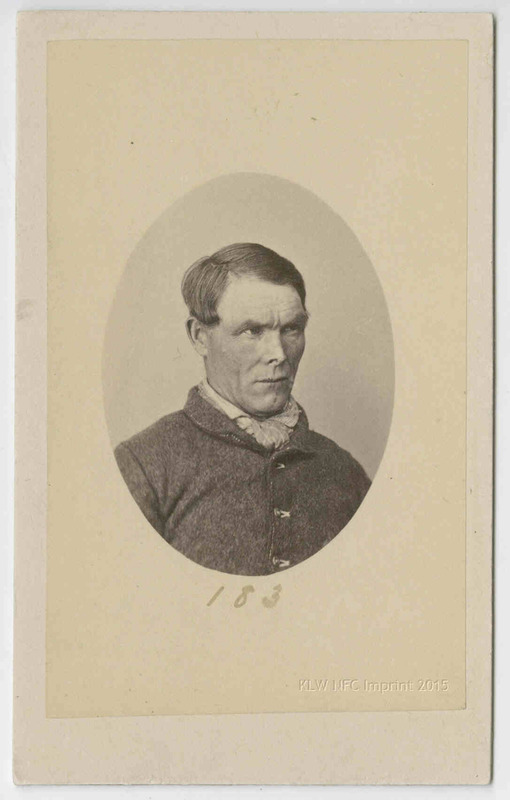 Reeder’s use of these Tasmanian prisoner mugshots is through the gaze of the fine art dealer. Inevitably, he sees the extant examples as an “artist’s” personalised portfolio, even using the literary term “author” to mask the subjective preoccupation with “artist”. Had he started with the vocational term “police photographer” his focus would not have veered from Nevin. unseen description and reference to the so-called ONE photograph at the Mitchell, SLNSW, supposedly by Boyd which is unattributed, dated 1894, and not a photograph of a prisoner; this photograph of a building – not a man in prisoner clothing – is supposed to represent evidence of A.H. Boyd’s relationship to photography. 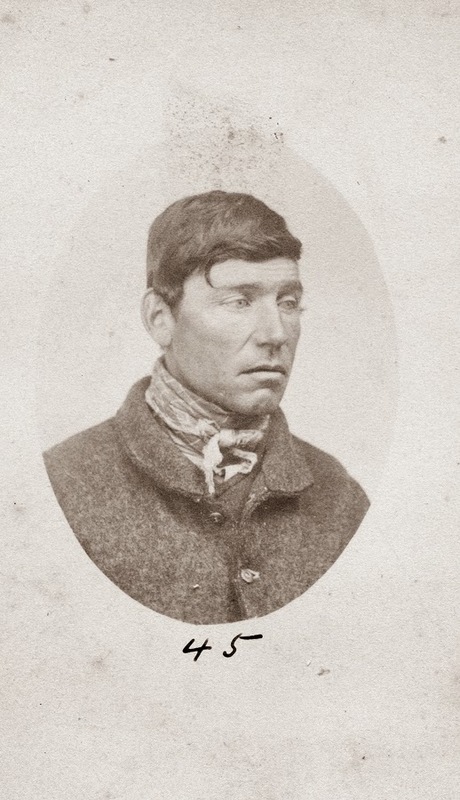 the assumption that a cargo of negative plates supposedly arriving at Port Arthur in 1873 were for the personal use of its Commandant A.H. Boyd, and that the same plates were used for the same prisoners whose mugshots survive, when in fact the extant examples are random estrays from a corpus of 3500 taken by the Nevin brothers. 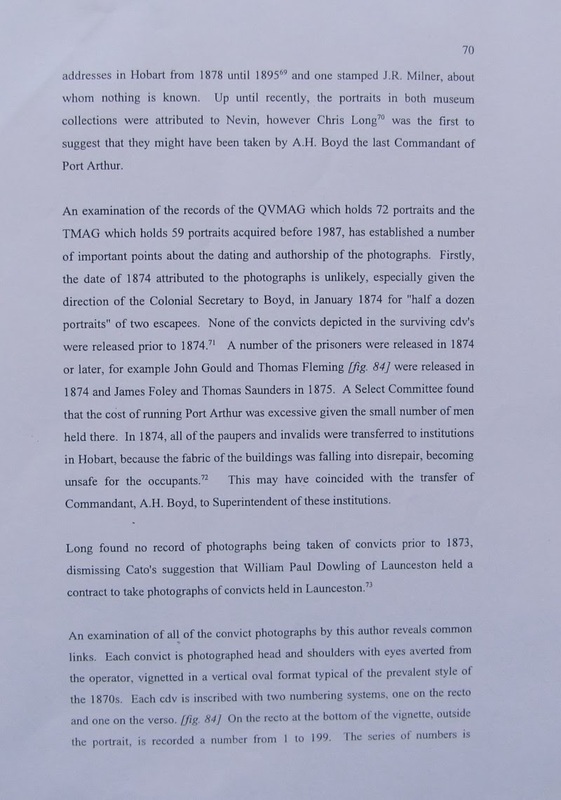 repeated reference to the Assistant Colonial Secretary’s Travers Solly’s requests for prisoner photographers. 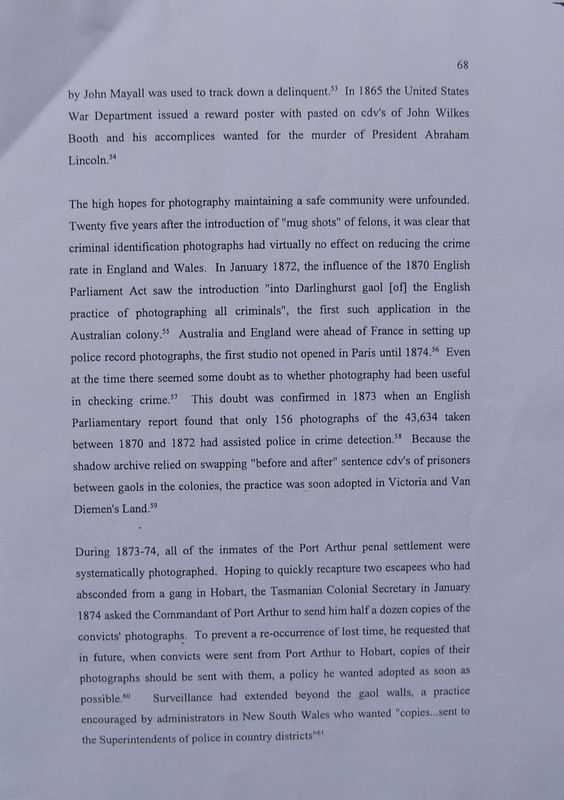 If the document ever existed, the request was for Nevin’s photographs taken at the Hobart Gaol AFTER the date of prisoners’ transfer from Port Arthur, NOT BEFORE transfer, eg the cited examples of the Gregson brothers, who absconded from Hobart and not Port Arthur, were photographed at the Police Office Hobart on February 18th 1874 after arrival from Launceston when arrested (see TAHO: CON37-1-1000498 and 9). 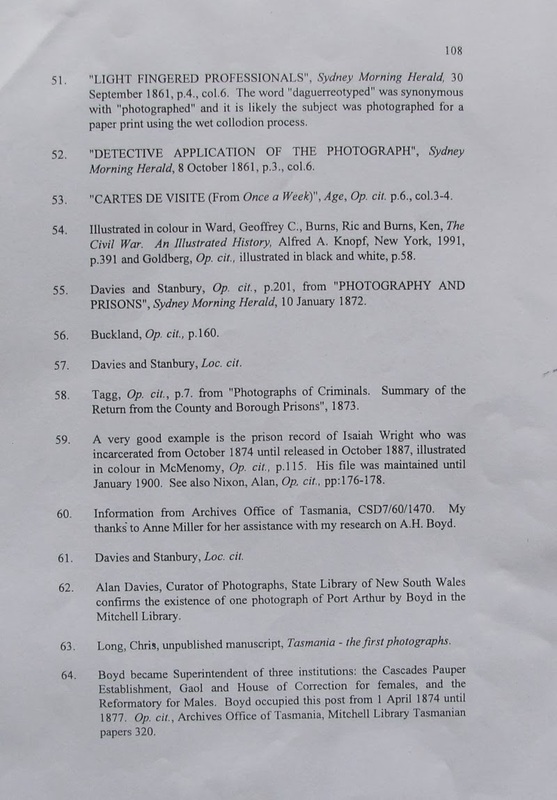 no understanding of police practices or prisoner documentation and relevant legislation by 1873, and no reference to the police records of the “convicts” who were just ordinary criminals, habitual re-offenders when photographed – not at the Port Arthur prison – but by Nevin at the Hobart Gaol, in the city’s courts, and at the central Town Hall police office. His statement that Chris Long was the originator of the “belief” about A.H. Boyd, however, is correct and the most important statement made by Reeder in these few pages. 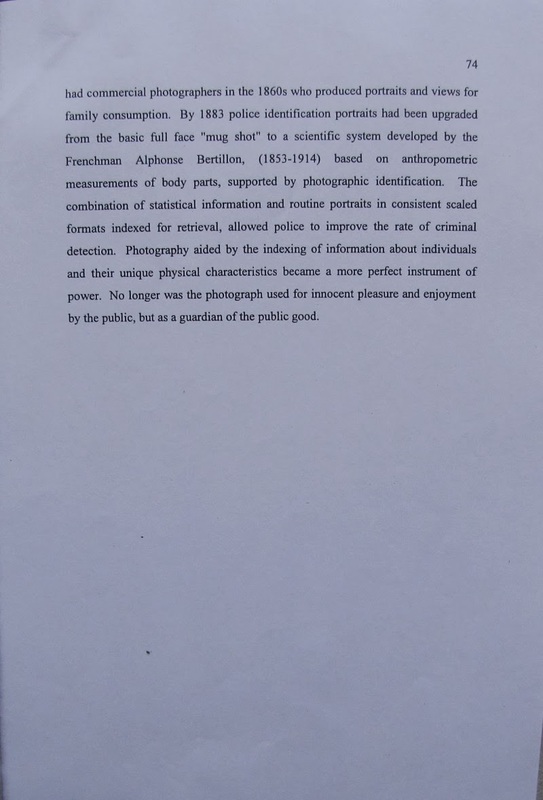 Although Reeder’s thesis is now 15 years old, these errors are still being circulated as currency in publications written by his supporters (e.g. Clark, JACHS 2010), so in a sense, Reeder has found the sort of “author” he was hoping would arise from the oblivion of his thesis. 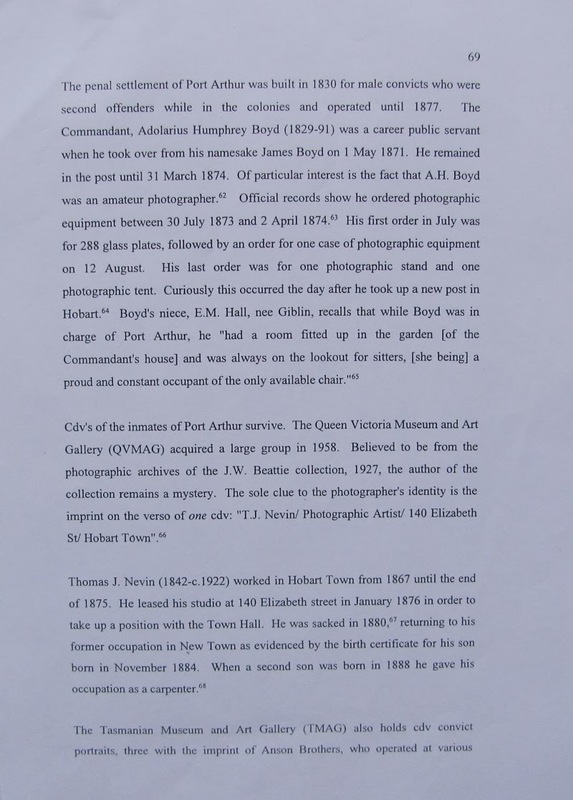 It’s unfortunate for his own reputation that he has to encourage acolytes to maintain the non-photographer A.H. Boyd as central to the “mystery” of the “author” of these prisoner photographs when the facts about Nevin’s work have always been so readily available. 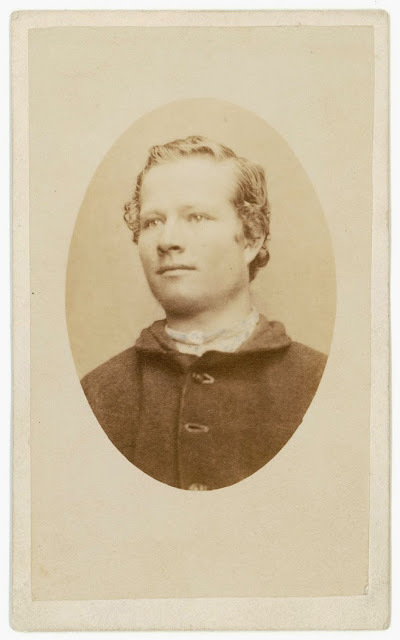 That Reeder is a valuer for the National Library of Australia explains in no small part who is responsible for their holdings of 84 “Portraits, Port Arthur convicts 1874” suddenly catalogued with a photographic attribution to A. H. Boyd in 2007. It’s a cover-up of an error made by Reeder in his poorly researched Masters thesis, a cover-up which puts into question his credibility as a fine arts dealer. Reeder, Warwick (ANU thesis 1995), page 68. 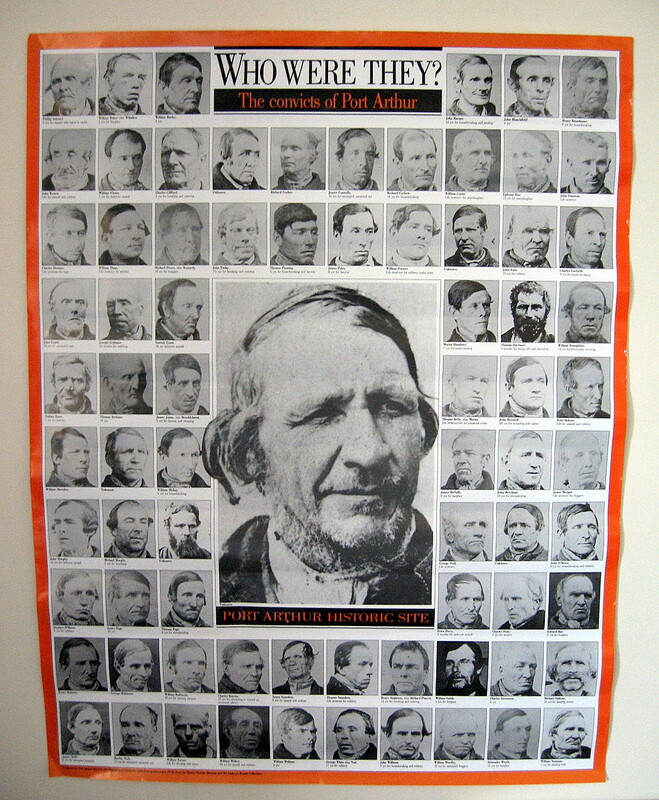 There is a deception here: the prisoners were photographed AFTER arrival at Hobart, and not en masse at Port Arthur; although Nevin attended the site during 1873 and 1874 on police business, he worked at the Hobart Gaol where these men were photographed, if a second offender sentenced for 3 months or longer and at the Town Hall police central registry where he photographed men discharged and released, all with various conditions (FS,TOL,CP etc). Reeder, Warwick (ANU thesis 1995), page 69. Reeder cites Glover (1979) who does NOT cite E.M. Hall’s children’s fiction about Port Arthur (1930/1942) which does NOT mention prisoner photography, obviously having read neither. Details about Nevin are incorrect: his seventh and sixth child to survive was born in 1888. 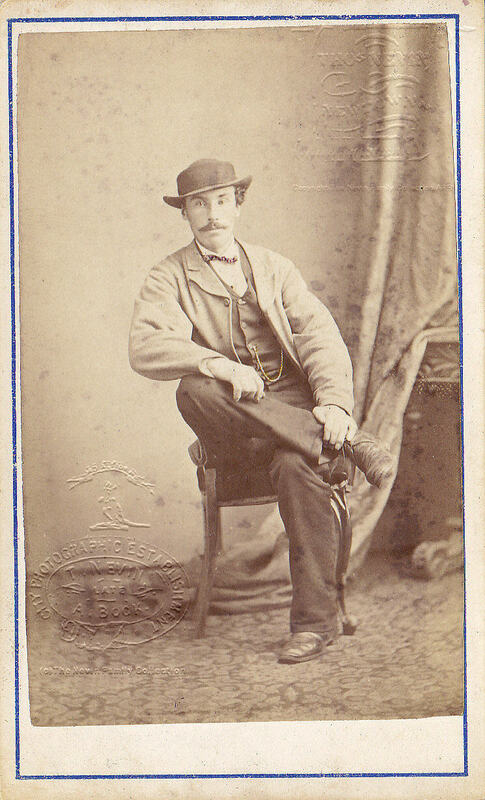 Nevin was the police and prisons photographer in the 1870s-80s (with his brother), his Royal Arms stamp showing joint copyright with the government was used under tender (one photograph stamped per batch of 100) until he gained full-time civil service at the Town Hall in 1876, and he was still working as a City and Supreme Courts bailiff serving warrants and taking offenders’ photographs in 1886. There is no “mystery” about the “author” of the prisoner mugshots, just poor research as Reeder musters the cliched art historian’s essentialist notion of “artistic” creativity. Reeder, Warwick (ANU thesis 1995), page 70. ERROR: There is information about Milner at the State Library Tas. FACTS: Chris Long was indeed the originator of this fantasy about Boyd (ca. 1984, published 1995). Reeder doesn’t understand that the men photographed as prisoners were in and out of prison on TOL and probation from the end of their first sentence in England prior to 1853 – usually 7 to 14 years. They were photographed only as RE-OFFENDERS – and many had long criminal careers – for the police in Hobart by Nevin, as offenders are today, and for no other reason. Reeder, Warwick (ANU thesis 1995), page 71. 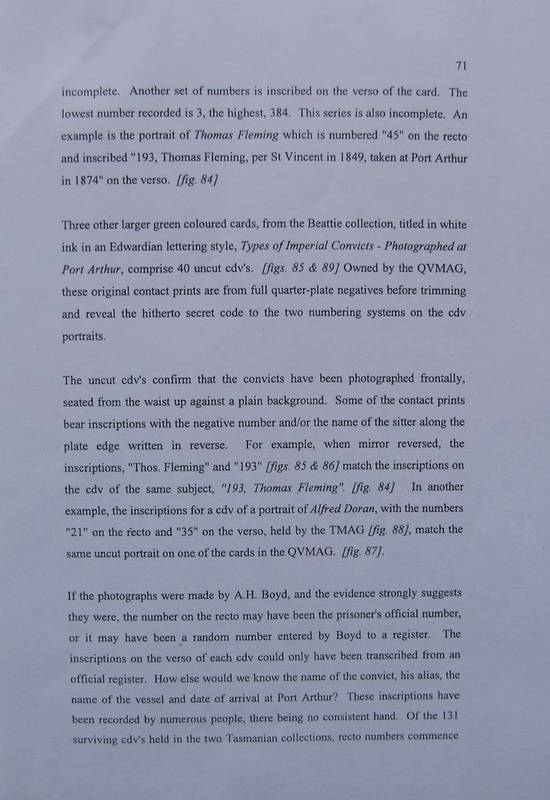 The extensive copying and numbering of the QVMAG collection bears no weight to his argument about either Boyd or Nevin (Reeder was a museum employee, hence the fascination). None of the numbers are police or prison registration numbers: they are accessioning file numbers by museum and library archivists in the 20th century. 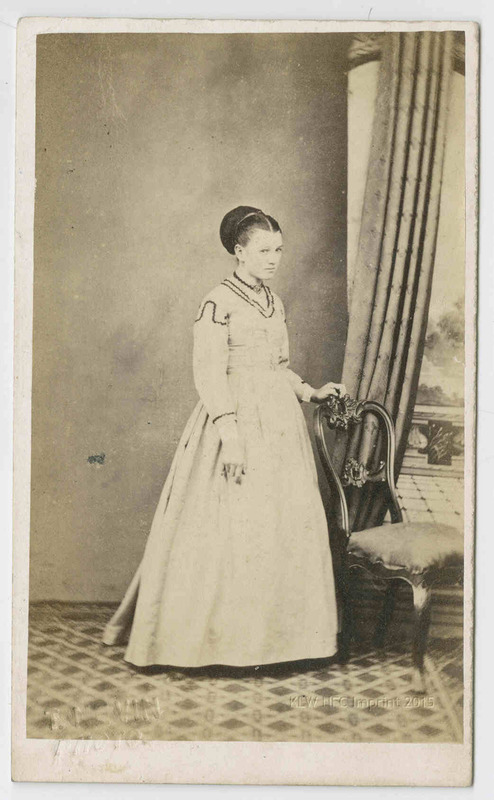 The inscription “Taken at Port Arthur 1874″ on some of the versos is a curatorial assumption, not a fact. 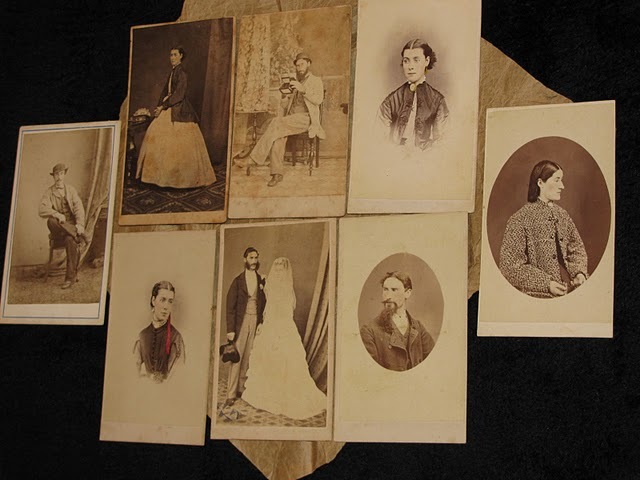 It is based on the shipping record of the first carte to be copied, George Nutt, which details various offenses at Port Arthur, and not on the Hobart registry of police records in 1875 for which the real photograph was taken by Nevin. Reeder, Warwick (ANU thesis 1995), page 74: here lies reasons for the creation of Boyd as an “artist”: the homosocial identification of Reeder with Boyd is all about managerial POWER. It is subjective wishful thinking about the writer’s self projected onto his subject, with the concomitant dejection of the REAL artist/photographer Nevin (of course). 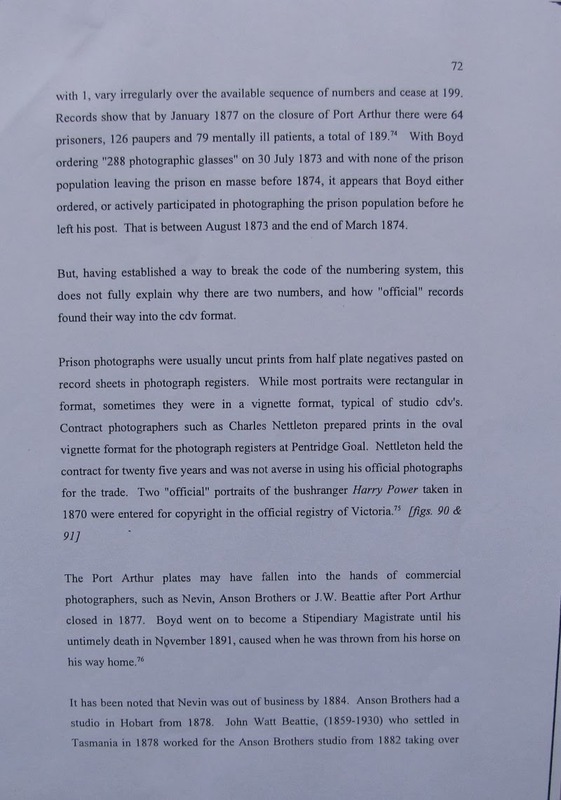 Reeder, Warwick (ANU thesis 1995), footnotes 51-64, page 108: the ONE photograph at the SLNSW is unattributed, dated 1894, and not a photograph of a prisoner. 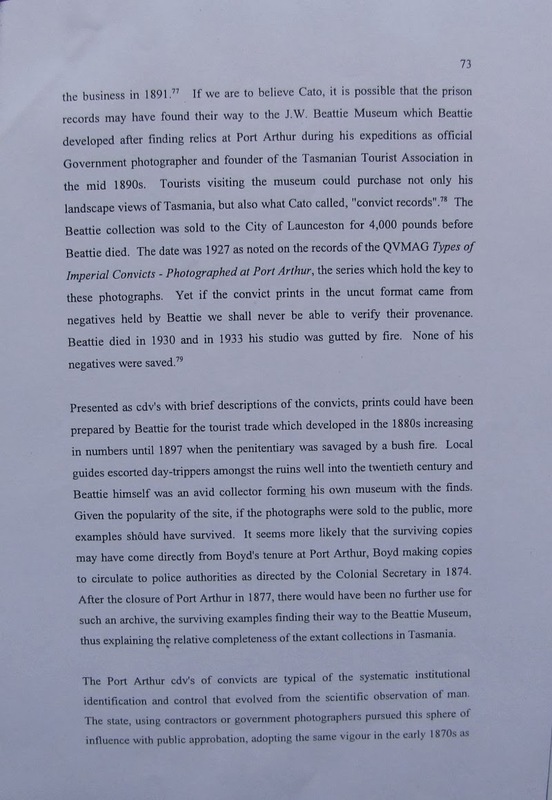 It is NOT attributed to Boyd, it has been doctored with a pencilled note to give him an attribution of ONE photo! 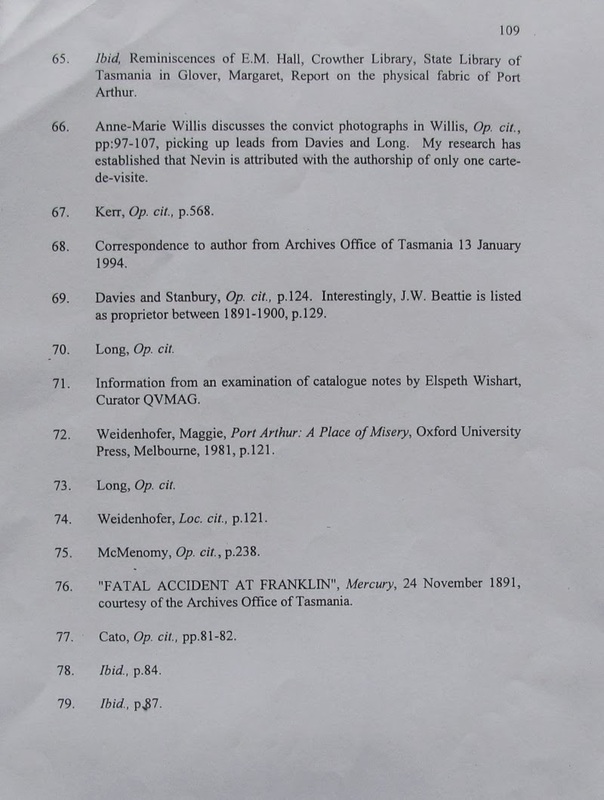 Reeder, Warwick (ANU thesis 1995), footnotes 65-79, page 109: Glover’s article does not cite the fictional tale by E.M. Hall (1942) which was not a factual reminiscence. Nevin’s stamp also appears on prisoner mugshots at the SLNSW: why does Nevin have to be “author’? Why not just “police photographer”? Because this writer Reeder is an ART historian.